All St. John's Afternoon & Evening Events have been canceled for today (Wednesday, February 25). No Confirmation Class, Meal, or Worship. Stay home & stay safe tonight. The office will remain open until 5 p.m. today. I love Lent better than Advent. I love the themes of Lent, the music of Lent, and the divine drama that takes place each year as we move from Ash Wednesday to Easter. Lent is all about Jesus’ Passion, the Jesus’ walk to the cross, times of prayer, deepening of faith and grace, and the beauty of the love of God for the sake of the world. Lent is about gathering together, eating a meal with each other, considering the beauty of God, and giving thanks that we are a people of God in Christ. I invite you to come and be with others at St John’s during Lent 2015. Ash Wednesday services will be held at Noon and 6:30 pm on February 18. Come for Supper from 5:45 – 6:15 pm prior to evening worship. 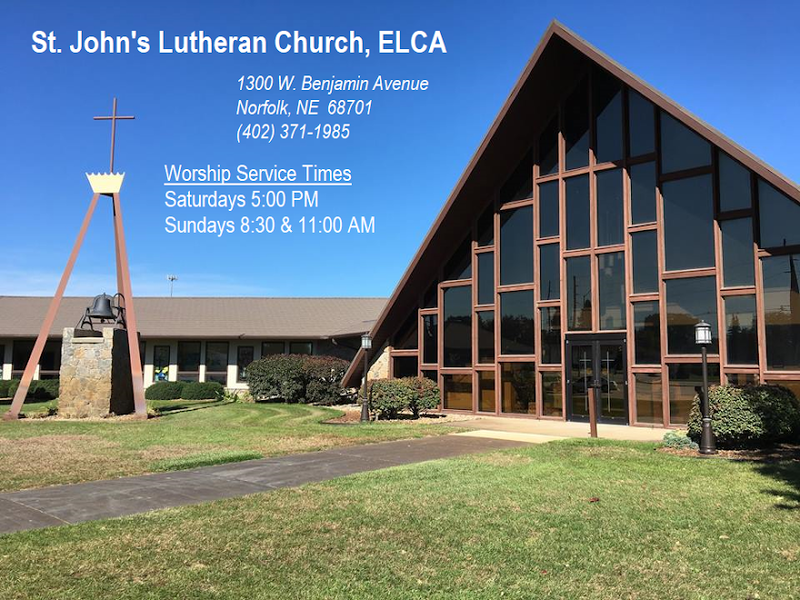 All subsequent Lenten worship services will be held at 6:30 pm until Easter Vigil, which will be at the usual Saturday evening worship time of 6 pm.